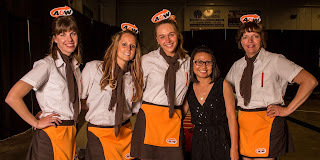 Last weekend at the dinner/dance Saturday evening part of the event was sponsored by A&W. 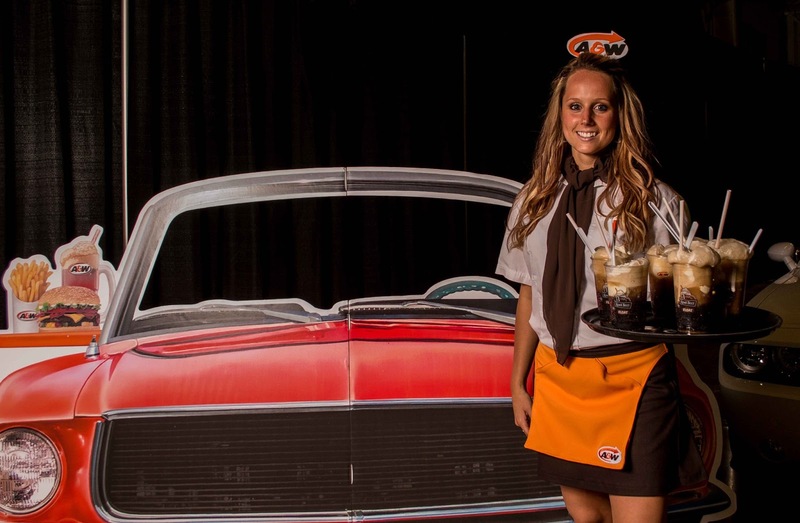 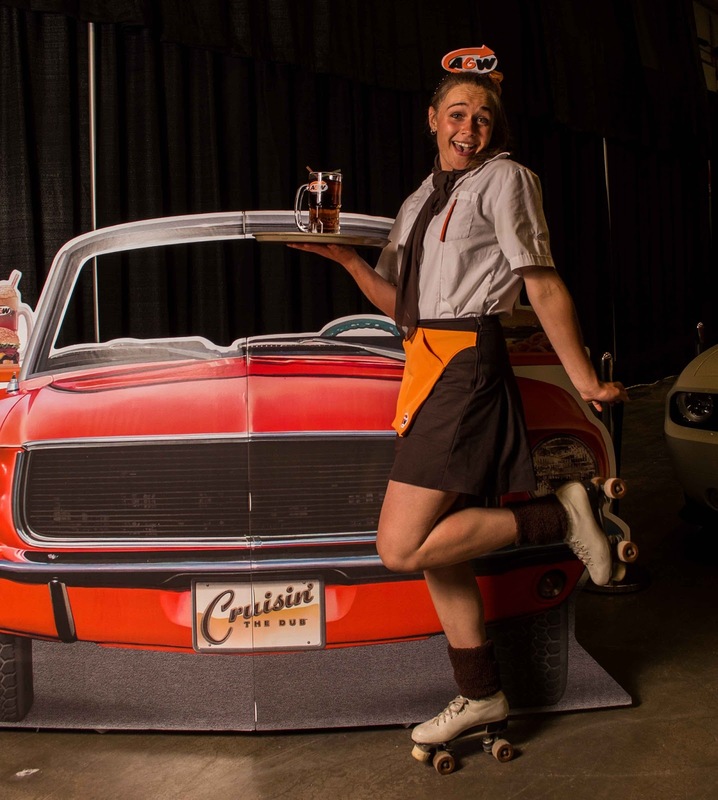 They had four girls on roller skates serving drinks, particularly root beer floats to all the attendees. They had the A&W car there and I was able to get the girls to pose with that as well. 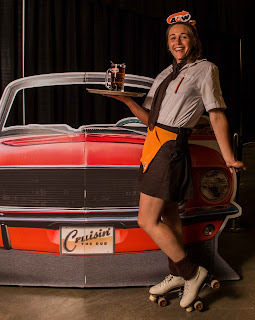 They were really having a great time!